Emiley Hoer | Financial Advisory Network, LLC. As the Client Relationship Manager at Financial Advisory Network, Emiley is committed to providing the highest level of quality service and support to each of our clients. 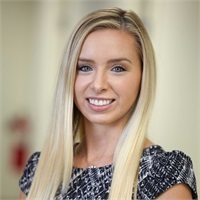 As part of her role, Emiley processes new investment business, handles service requests for both investment and insurance clients, and schedules client reviews. She has been in the financial services industry for 2 years and has her Life & Health insurance license. Emiley received her B.S. in Business Administration with a concentration in Management from Southern Connecticut State University and has previously worked in Human Resources for one of the world’s largest logistics companies. In her free time, Emiley enjoys spending time on her family boat and traveling.